Shaving is a daily ritual for millions of men each day. A good shave rejuvenates the face, making you look fresh, clean, and virile. Unfortunately, a lot of men haven't learned how to properly shave. The modern family today looks much different than it did decades ago, so many of the father/son traditions (e.g. how to shave) have been lost on a new generation of men. In addition, shaving technology has changed over the years, so the routine your father embraces, may not be that of the masses. 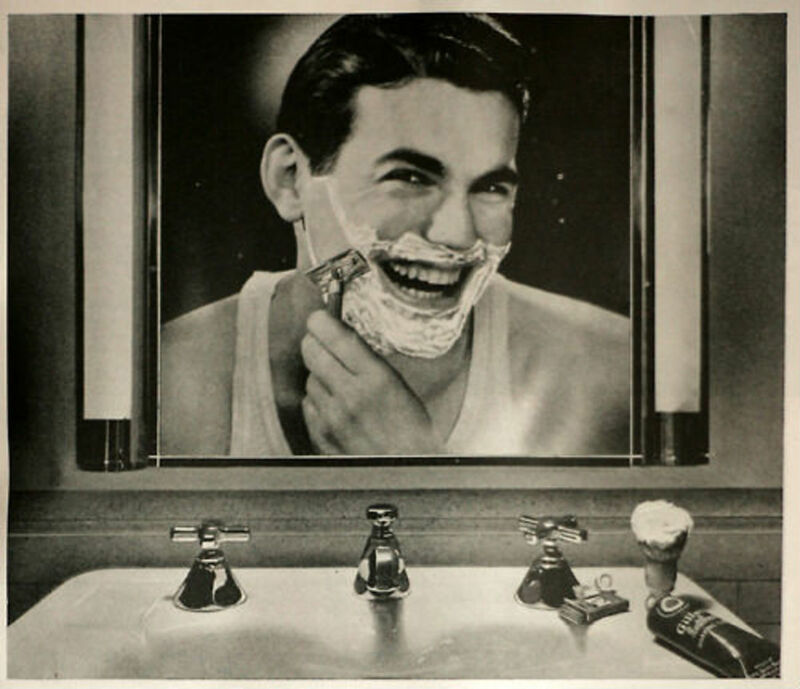 A number of men struggle to achieve a good shave; some men do a really good job, but could make use of better techniques, while other men need to overhaul their routines, especially if their experiencing any sort of skin irritation. If you suffer from ingrown hairs, razor bumps, razor burn, or constant nicks, then you may not be shaving properly. This guide is a comprehensive, illustrated overview on how to shave properly, using the most popular, modern shaving tools: a cartridge razor (like Gillette or Schick) or an electric razor. The techniques shown here are generally accepted by shaving experts as universal best practices. If you're not sure what type of shaving works best for you, then let's first examine the pros and cons of manual vs. electric shaving. Manual shaving works best for guys who want a super close shave and appreciate the nostalgia of using a manual razor. There's something about using a manual razor that feels manly. Using a manual razor also takes time—if you're one of these guys that's always in a rush in the morning, then this may not be the best option for you. However, the biggest setback to using a manual razor is that some of the razors on the market achieve such a close shave, that you can get some irritation. However, if you use the right shaving supplies, this should be dramatically minimized. Shaving technology has come a long way. 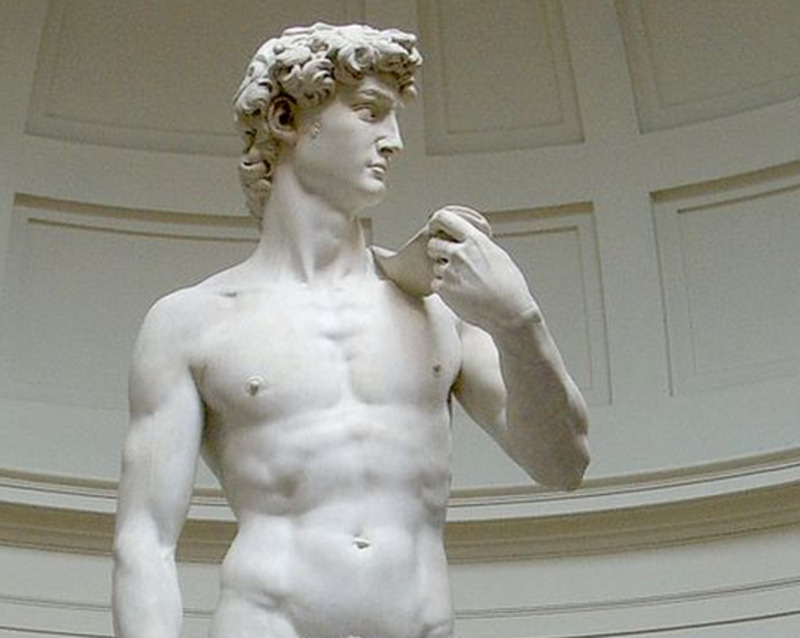 Personally, I prefer using a manual razor—I like a close shave and am able to achieve without any irritation. An electric razor allows you to shave your face very quickly and efficiently with very little mess. You don't have to apply shaving cream or rinse your blade. The biggest drawback to using an electric razor, is that you might not achieve the closest shave—though some of the latest electric shavers on the market are pretty close. I used an electric razor for years at one-time—loved that I could shave quickly in the morning, but eventually missed having a close shave. I also find that using an electric shaver also conditions the skin with a light callusness that I eventually just didn't care for. 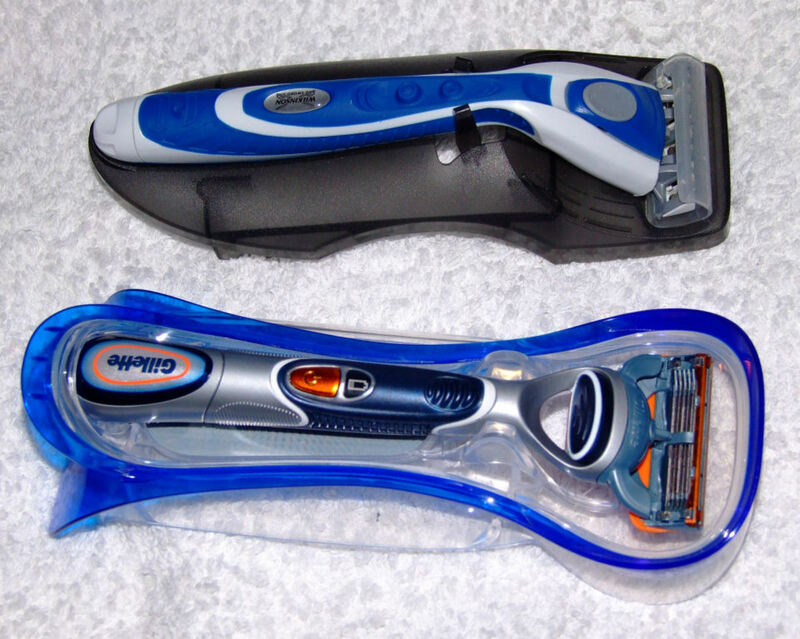 Do you prefer a manual or electric razor? Before we get into the step-by-step instructions, let's review some shaving techniques and best practices. The grain on a man's face is referred to as the rough hair regrowth that starts to develop that you can feel when you rub your hands across your face. When you rub your hand "against" the grain your face feels like sandpaper. When you rub your hand "with" the grain your face feels smooth. Men are generally split into two camps when it comes to shaving against or with the grain. Men who want a close shave, shave against the grain. This is effective because the blade lifts and cuts the hair. When you shave with the grain, the hair is not really lifted, but just cut on the surface of the skin. If you are prone to irritation, then you will want to start shaving with the grain at first, until your skin has become more accustomed to shaving, or either use a really good shave. Over time, many men find that they can easily shave against the grain for a smooth shave with little or no issues (or with a little help of some aftershave). In order to get optimum usage out of your blades, you should always shave in short strokes, generally 1" to 2" in length. This will prevent too much hair from clogging the razor and make it easier to rinse your blade. If you are using a manual razor (cartridge razor), and you are shaving daily, then it is recommended that you change out your cartridge at least once a week. You don't want your razor to get too dull, so changing out once a week will keep your blades fresh and sharp. If you're using an electric shaver, the head blades will generally last one year to 18 months, depending on the type of razor you have. Before you shave, you want to warm-up your face. To warm-up your face you you need hot water or steam—this will open up the pores and soften the beard. This is the easiest method, especially if you tend to take a shower first thing in the morning. This technique is generally done at a barber shop, but can be done at home too; it's not difficult to do, but for a man on-the-go, probably not the best option. If you use this method, make sure you use a fresh, clean towel everyday—bacteria collects in damp, re-used towels. If you're in a hurry, just wash your face with warm water—it's better than doing nothing. Once you are done, you may want to dry off your face a little or completely, depending on the type of razor you're using. if you're using a cartridge razor, you can leave your face a little damp—this will help with the application of your shave cream. If you're using an electric razor, then completely dry off your face. Water is not a natural lubricant, so rubbing the metal foil from your electric razor against the skin, can cause the shaver to stick to your skin. This step can usually be done while you warm-up your face, especially if you are showering or washing your face in hot water. You don't want to introduce any bacteria to your freshly shaven skin, so it's a good idea to clean your face before you started using a good face wash. A face wash will remove any dead skin cells, excess oil, and bacteria from your face. To clean your face, put the recommended amount of face wash in the palm of your hand, mix with a little water, rub your palms together, and then apply thoroughly to your face in a circular motion. Once complete, rinse your face with hot water, then dry off with a fresh, clean towel. Pre-shave solution is generally solution made from oil that is applied to the skin before you apply shave cream. Pre-shave oil serves as an barrier to the skin, minimizing friction to the face. If you typically experience any sort of discomfort when you shave, then you should really invest in pre-shave oil—it will make a huge difference in the quality and comfort of your shave. To apply pre-shave oil, put a very small amount in the palm of your hand or an your fingertips and apply to your face. Not needed; there is no pre-shave oil equivalent for an electric razor. However, you can apply an electric shave solution prior to shaving. See the following step for more details. Shaving cream is essential for shaving, as it helps minimize friction as your razor glides across your face. There are three types of shaving products on the market: shaving creams, shaving gels, shaving foams, and shaving soaps. Personally, I tend to find that shaving creams to be the best, primarily because they create a rich lather without a lot of mess. Shaving foams tend to create a lot of excess when applied to the face, and shaving gels are often not emollient enough, or are not really gels at all, but rather a gel disguised as foam. To apply shaving cream to the face, I recommend running your hands under water first, then applying a small amount of shaving cream in your hand. Rub your hands together to create a rich lather, and then apply the cream to your face and neck. Believe it or not, there is a shave cream equivalent for electric razors, except that it's not creamy or foamy—it's called electric shave solution. This is a little known secret among electric shavers—men who use this solution swear that they'll never go back to not using electric solution once they start. Electric shave solutions are specifically designed for electric shavers and create a barrier between the face and the razor, helping to lift the hairs up from the skin. Many of these solutions contain vitamin E to help cool and soothe the skin. 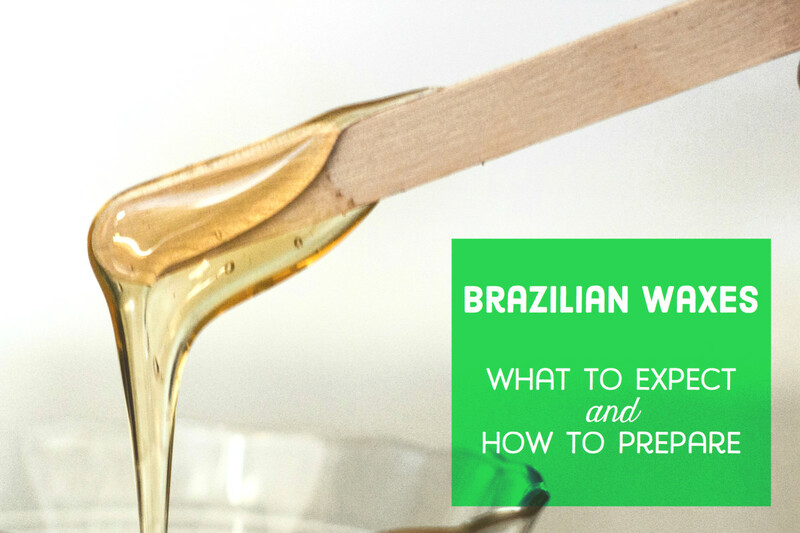 To apply electric solution, pour a small amount in the palm of your hands, rub together, and apply to your face. Wet your razor with warm water and pull the skin tight with one hand and begin shaving your face either against or with the grain, depending on how close you want your shave. To shave the area above your lip, pull your lips tightly inward to tighten the skin, and then start shaving in a downward motion. For your chin, push your tongue firmly into the area below your bottom lip, and begin shaving in a downward motion. Rinse your razor frequently under a stream of warm water to wash off excess cream and dislodge stray hairs from between the razor blades. If hair becomes stuck in the razor, gently tap the razor on the bottom of the sink. Many experts say that you should shave starting with the outer edge of your face, and then work your way in, to the area around the mouth and chin; it is believed that by using this method, the coarser hairs around your mouth will have longer to loosen and soften from the shaving cream. Personally, I don't do this, and have never had an issue. When it comes to shaving, I don't think you need too many rules—just the basics. You have to do what works for you. If you happen to nick or cut yourself while shaving, make sure that you have a styptic pen handy. A styptic pen is made from alum, and will immediately stop the bleeding—much better than using tissue paper. With an electric razor, just pull your skin tight and begin shaving with your razor in a circular motion, until you achieve a smooth shave. If you have never used an electric razor before, it's quite common to have a little bit of sensitivity the first week as your skin adapts to this type of shaving—it does go away. You generally do not need to clean out an electric shaver while your shaving (only at the end). However, should the shaver become clogged or slow down, you can open the lid to remove the collected hair. Rinse your face with cold water; this closes the pores and allows the freshly exfoliated skin recover. You do not need to use face wash again, just regular cold water. Double check the sides of your face. Sometimes as you look directly into the mirror, it's easy to miss that you may have a little unrinsed shaving cream by the sides of your ears. Always use a fresh, clean towel to dry your face. You don't want to introduce new bacteria to your clean skin. Aftershave is a solution designed to help reduce irritation after you have shaved. The active ingredient is usually denatured alcohol, witch hazel, or some other type of antiseptic. Most aftershaves do sting, and this sensation may last for several minutes. Some men do not tolerate aftershave well, and some men don't need to use aftershave at all. If you are prone to irritation, razor burn, nicks, and cuts, then you may want to look at using aftershave. I recommend that men avoid fragranced aftershaves. The extra fragrance and chemicals can aggravate irritation—all natural or fragrance-free solutions work best. To apply, pour a small amount of aftershave in the palm of your hand, rub your hands together, then apply to your face and neck. Once you have completed your shave, I recommend you apply a light moisturizer to keep your skin healthy and glowing. If you have an active lifestyle, you probably want a moisturizer that contains SPF, so that you have some protection from the sun. Additionally, if you have oily skin, or live in a hot climate, you may want to opt for an oil-free moisturizer. To apply, put a small amount of moisturizer on your fingertips and apply gently to your face and neck. Be careful not to put directly under your eyes; rubbing your eyes later in the day could cause some moisturizer to get into your eyes—it burns. After you shave, your blade will collect dead skin cells and other bacteria, so you will want to properly clean your razor before after you shave, so that you can start each day with a clean razor. If you're using a cartridge razor, pour rubbing alcohol across the top of the blades and then rinse the razor with hot water. If you're using an electric razor, you will need to empty out any hairs that have collected in the razor head from time-to-time. In addition, you should .dab some rubbing alcohol on top of a cotton ball and wipe across the metal foil. The metal foil on most electric razors needs to replaced every so often. The following is a carefully curated selection of some of the best shaving products on the market to help you achieve the best shave ever. Gillette is know the world over, and arguably the leader in shaving among men. They make a high quality shaving razor, the Gillette Fusion Proglide. 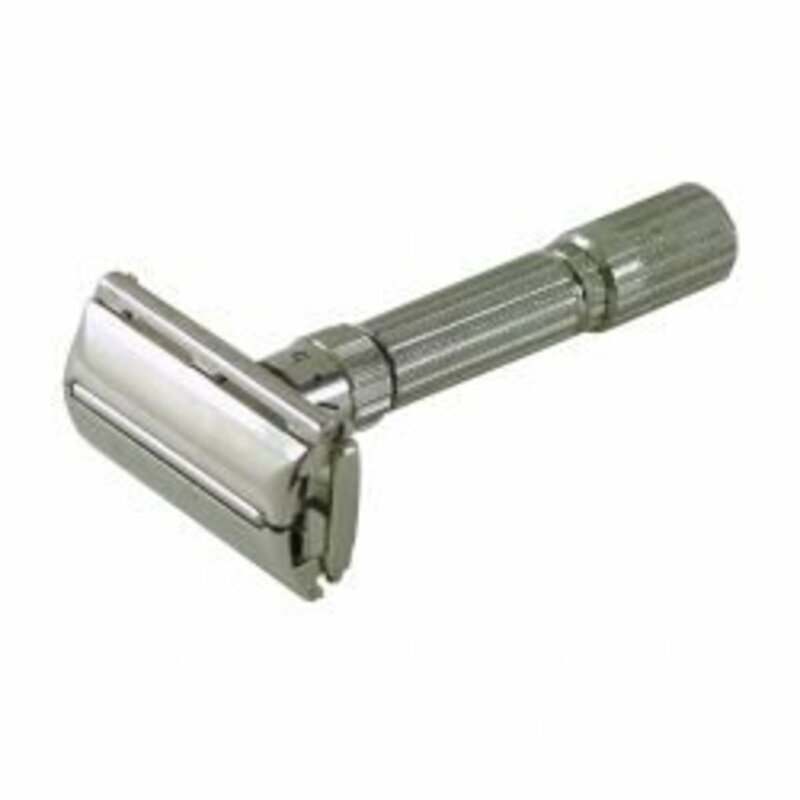 It features 5 blades and a lubricated strip, offering you a comfortable, and super close shave. In fact, I think the Gillette Fusion probably offers the closest shave among any of the manual razors on the market. If you have normal skin, then the Gillette Fusion Proglide will be perfect for you. If you tend to experience irritation or have sensitive skin, then you may find the Schick Quattro Titanium to meet your needs. Gillette is the most expensive of razor brands, you can expect to spend about $30 for 8 cartridges. The Schick Quattro Titanium is a German made razor blade, and the second most popular brand of manual razors. There isn't nearly as much fanfare around Schick as there is for Gillette, but make no mistake, this is a high quality product. What makes the Schick Quattro Titanium so unique is that the blades are wrapped in very thin wires, preventing the user from pressing the razor too deeply into the skin. This a perfect for solution for men with sensitive skin or tend to be prone to irritation. Personally, this is my favorite razor. My shave may not be as close as what I would get with Gillette, but my shave is comfortable and my skin looks good. Schick is a little more affordable; 8 cartridges costs about $18. Now, if you're a super economical guy, and looking for a more affordable shaving solution, then I would Dollar Shave Club. Dollar Shave Club makes razors that are a great alternative to premium razors and a step above cheap razors like Bic. The Philips Norelco PT730 Powertouch is a great entry-level electric shaver. In fact, among all the electric shavers sold online, it's the #1 best seller on Amazon with a 4-star rating and over 1,100 reviews. The unit features a flexible head, "super lift & cut technology" for a close and comfortable shave, and is cordless and rechargeable. This unit is not 100% waterproof. This unit retails for about $50 on Amazon. The Braun Series 7 - 790cc Pulsonic Shaver System is the Rolls Royce of electric shavers. The unit is at a higher price point, but it too is also an Amazon best seller with 4.5 stars and over 1,800 reviews. For men looking to make an investment in a high-quality electric shaver, this is the best you can buy on the market. What's unique about this shaving system is that it features an innovative pulsating technology with 10,000 micro vibrations per minute. In addition, it also features a patented middle trimmer that lifts and cuts flat-lying hair. The unit is also 100% waterproof and fully washable. What I really love about this unit is that it has an automatic cleaning system that you can activate at the touch of a button. There is a refillable alcohol and lubricating solution at the base of the charing unit. You place the shaver face down into the charging unit, press a button, and it will clean, disinfect, and lubricate the unit. In addition, this unit also has a variety of power settings—including one that is especially designed for sensitive skin. This unit retails for about $250 on Amazon. For guys who like to wrap their face in a hot towel before shaving, you can purchase shaving towels just like they use at the barber shop. In fact, if you just need a set of towels to use to clean your face after shaving, these would also be perfect for that as well. It's good to separate towels you use on your body from the ones you want to use on your face, so having a set dedicated for shaving is highly recommended. Look for barber shop towels that are made from 100% cotton, measure 15" by 25", and are machine washable and dryer safe. For daily shaving, I recommend Lab Series Power Wash; it's one of the best face washes you can use before you shave, and great for all skin types: normal, dry, and oily. You don't have to apply much, just a little amount is enough to create a decent lather for your entire face. The wash is unscented and leaves your face feeling squeaky clean and refreshed. What I like most about this product is that it's unique formulation will remove excess dirt and oil without disrupting your face's normal PH balance. This product retails for about $27. While the price may seem high for men's face wash, one bottle should last you about 5 to 6 months. The Art of Shaving Pre-Shave Oil is one of the best pre-shave oils you can buy with a 4.5 star rating and over 150 reviews on Amazon. This pre-shave oil is formulated with a special blend of essential oils and botanical ingredients. Key ingredients include castor, olive, and lavender oil. And, like any good pre-shave oil, this product will leave no residue on your skin once you complete your shave. This pre-shave oil is available in unscented, lavender, sandalwood, and lemon. However, I always recommend unscented skincare products for your face. This pre-shave oil retails for about $24. I have tried a number of shave creams, and The Art of Shaving Unscented Shaving Cream is the best. Like many of the other products I've reviewed, this product is rated at 4.5 stars with over 300 reviews on Amazon. The cream is super emollient and creates a very rich lather on the face. Also, a little goes a long way, so you don't need much to create a nice lather. Once you shave with this cream once, everything else will feel like sandpaper. You can buy this cream in other scents, but again, I always recommend using unscented products on your face. A 5 ounce tub retails for about $24. For you guys that use an electric razor, there's a shave cream equivalent for you—it's electric shave solution. The Lab Series Electric Shave Solution creates a protective layer on your skin, in addition to helping lift your facial hair for a close shave. Most men report that after using an electric shave solution that they can achieve a closer shave with their electric shaver. A 3.4 ounce bottle retails for about $18. If you suffer from any sort of razor burn, irritation, or ingrown hairs, then you need to use a good aftershave. However, I wouldn't opt for a traditional aftershave that contains any sort of fragrance or cologne. I believe the extra chemicals in those can further irritate your skin—so not something you want to put on top of any sort of irritation. I recommend Anthony Logistics Aftershave Balm; this product is fragrance free, light weight, and will help soothe the skin and reduce inflammation. This product retails for about $18. The last step of your shave should always include putting on a little moisturizer, and preferably some with sunscreen to help protect your skin from the sun. Jack Black Double-Duty is a great lightweight moisturizer and contains just enough sunscreen for the average man on-the-go. The formula is very emollient, lightweight, and won't leave your face feeling oily or greasy. This is also one of the few men's moisturizers on the market that's certified organic. It's fragrance-free paraben free, gluten free, and vegan. This product retails for about $28. Some of the two most common problems with shaving are nicks and cuts along with severe cases of razor bumps and ingrown hairs. If you're one of those guys that suffers from the occasional nick, then you need to invest in a styptic pen. They are cheap and will stop bleeding fast. There's nothing more annoying than a facial nick that won't stop bleeding—and using a small piece of tissue just looks ridiculous. With a styptic pen, you just need to dab a little on the nick, and it will immediately stop the bleeding. I recommend the Clubman Pinaud Dab-On Nick Relief. It doesn't sting, won't irritate the skin, and also hydrates the skin. Hopefully as you master your shave you won't need this, but even professionals suffer from the occasional slip of the wrist, so always good to have in your shaving toolkit. These little sticks retail for less than $3. For many men, a basic aftershave may be all that you need for any minor issues with razor bumps and ingrown hairs—something similar to the Anthony product I mentioned earlier. However, some men are just prone to more shaving irritation, especially men of African-decent or men with curly hair. Curly hair is very prone to becoming ingrown. If you suffer from a severe case of razor bumps and/or ingrown hairs, I would recommend Anthony Ingrown Hair Gel. This is probably the best ingrown hair treatment you can buy on the market, it also gets rid of razor bumps. It's a gel formula that features exfoliating agents to help dislodge the hair. Anthony Ingrown Hair Gel retails for about $27. One thing to remember, if you're prone to ingrown hairs, never pull the hair out of the skin; this will only cause the hair to regrow ingrown again. You always just want to tug the hair above the surface of the skin and shave or trim the hair above. This will allow the hair pore to start to heal and grow normally again.